Velvet is inspired from the Art Deco style. 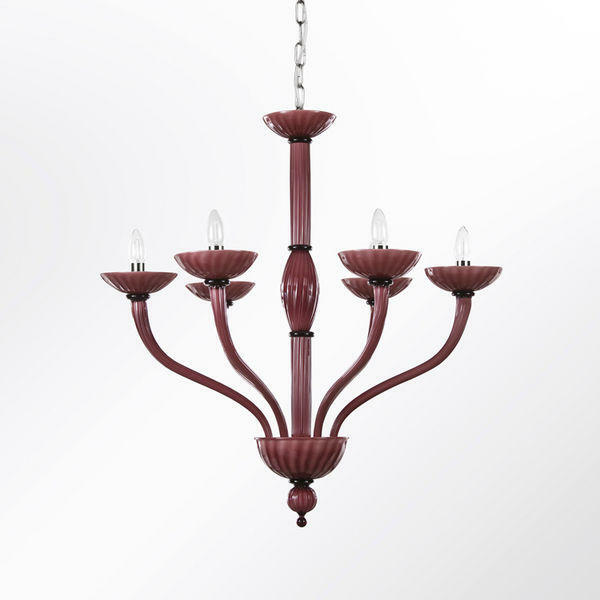 It is characterized by long arms which are bended upwards and by encased coloured glass. 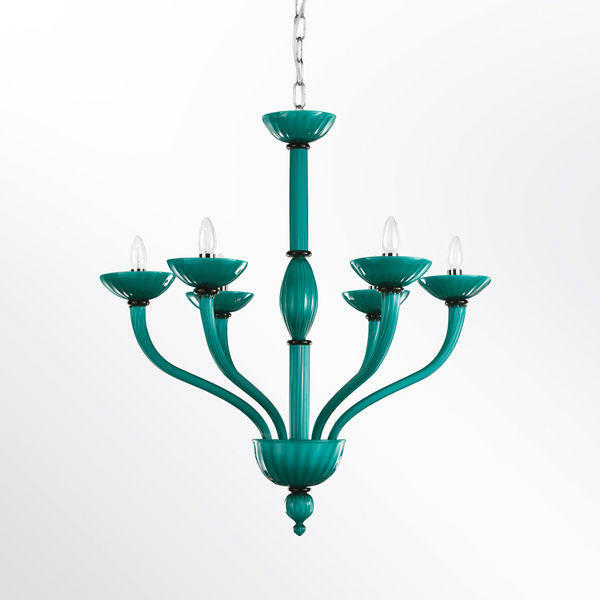 This chandelier harks back to the first half of the XXth, when some innovations in the working of the glass have been introduced: slender and light elements, rampant arms and ribbed glass. The collection is available in many exclusive colours: marine green, amethyst, coffee and grey. This collection also includes wall lights and table lights, and it is possible to manufacture the products on demand, to suit each project and the contract sector.